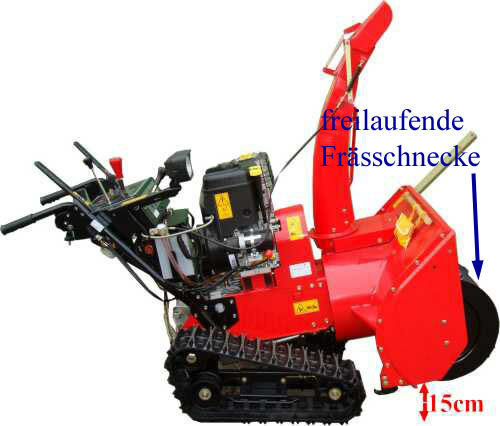 5.000,00 EUR 19 % VAT incl. 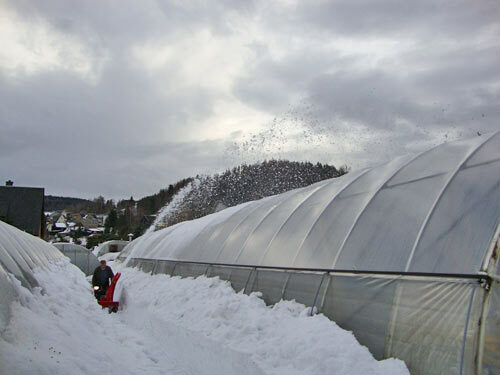 These snow throwers are produced since many years unchanged and has proved itself successfully at the highly competitive Japanese market. Because we ourselves are settled in an area with guaranteed snow and have therefore the direct contact with the customer. Generously dimensioned auger gear of gray cast iron - not from cast aluminum. Everything is mounted on ball bearings - not such plain bearings like the cheap snow blowers. The material thickness of auger is 3 mm - other manufacturers are content with anything less. 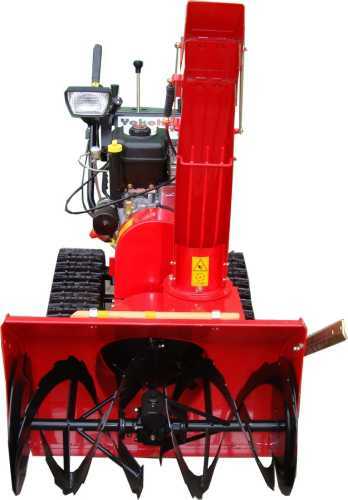 Of course, the auger is serrated to be able to shred hard snow easily. 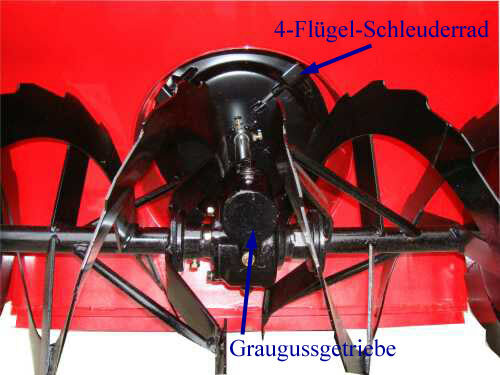 The free-running auger is especially suitable for hard snow, because otherwise the side plates attached to chute are annoying while driving. The track is especially long and wide in order to achieve a good contact surface. The contact surface is 55 cm. 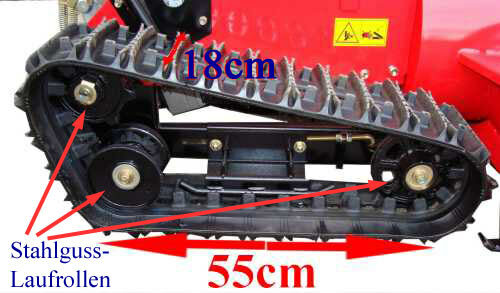 The width of the track chain is 18 cm. Thus, the snowblower has good traction and does not slide quickly. The rollers are made ​​of iron - not plastic. The drive wheel and the front wheel are made ​​of cast steel. 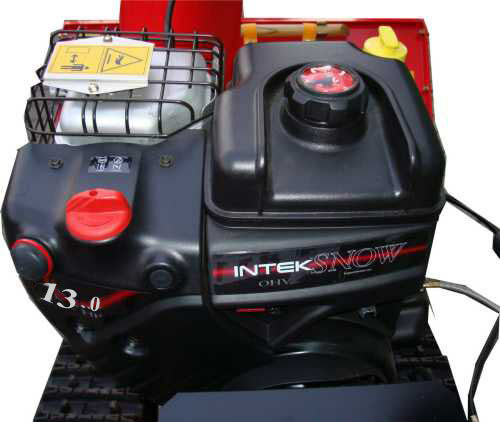 The motor is powered by a Briggs &Stratton Snow Engine 13PS max. performance. Briggs & Stratton is the world's largest manufacturer of small engines. The weight of the snowblower is distributed so that the entire load is on the front chute. 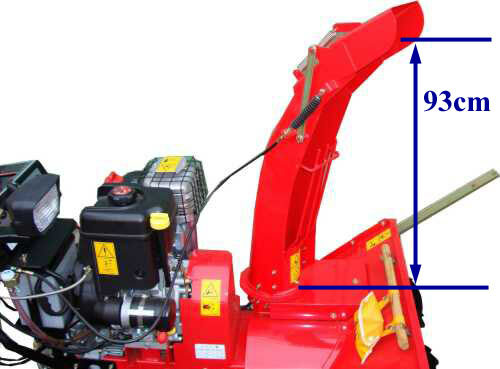 Thus the climbing up of the snowblower at hard snow, blown snow or roof snow is prevented and you mill away the snow to the very bottom. 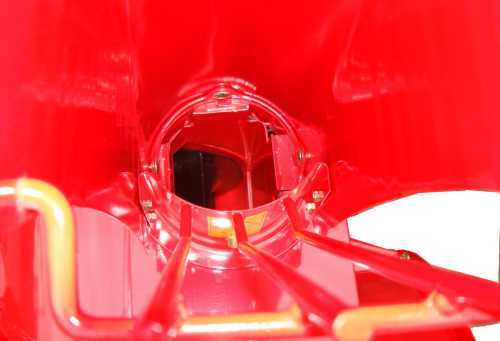 The chute can be easily rotated with a joystick. The long discharge chute throws the snow out bundled, thus a more accurate and powerful ejection is possible. Other manufacturers produce shorter ejection chutes, so the snow is widespread. 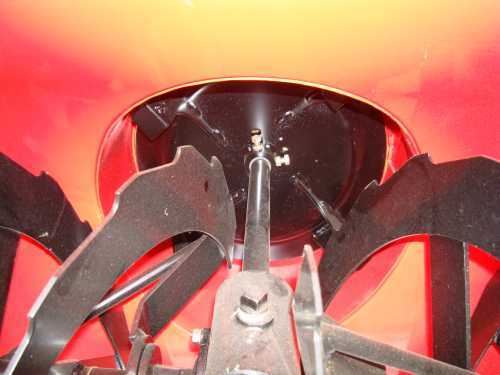 The deflector can be kinked double, so the snow can be placed next to the snowblower. The snow can be placed right next to the snowblower using the double foldable deflector. For clearing the sidewalks, narrow streets, etc. that is ideal. The snowblower clears due to its good weight to the very bottom. 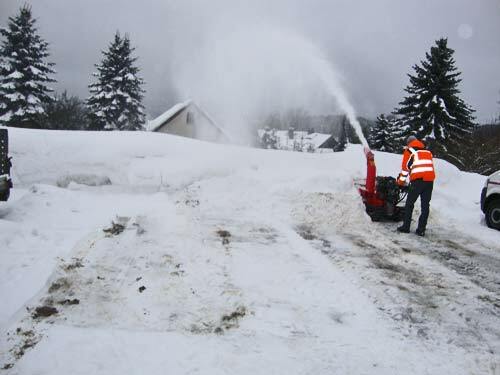 Here you can see the very good ejection performance of the snowblower. Steffen Fritsch, a great snow blower and a great winter. I wish you all happy holidays and a happy new year. The owner had 3 other snowblowers borrowed from the neighborhood to clear between the greenhouses, so that the snow pressure is taken from the greenhouses. Only a Yokohama snowblower had adequate ejection performence in order to throw the snow over the roofs. 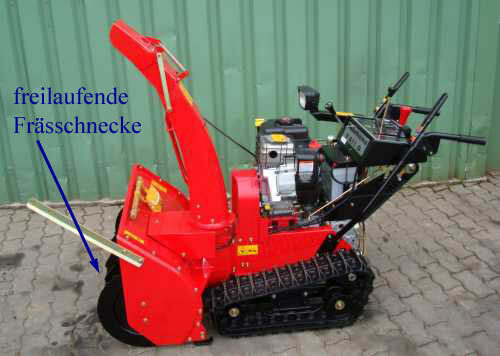 This snowblower is designed for the following needs. 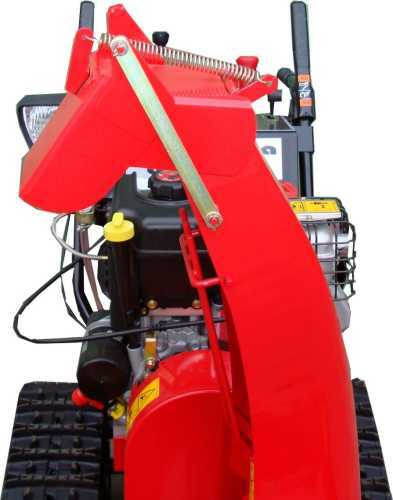 A small and manoeuvrable snowblower with a high horsepower engine and best ejection results in hard and blown snow. The self-weight of 225 kg of says it all. 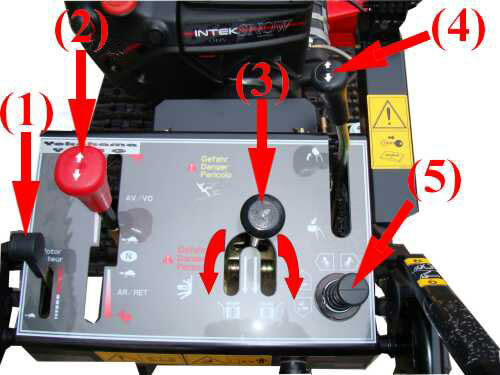 The steering of the snow thrower comfortably managed with a single-lever tank steering with durable mechanics - without expensive electronics. 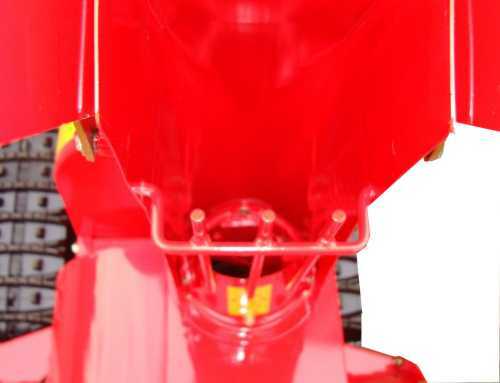 The chute is hydraulically lifted and lowered by means of the hand lever up to 15 cm. 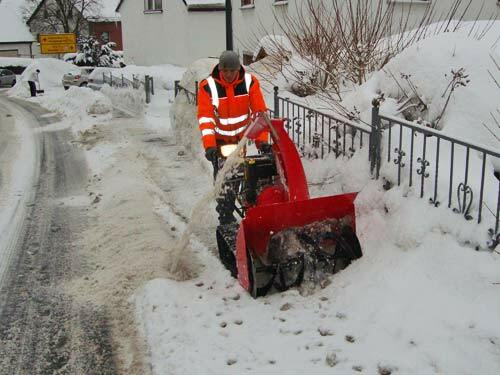 The snow thrower is especially suitable for women, pensioners and for professional use - by the tank steering, electric start and hydraulic chute lift. 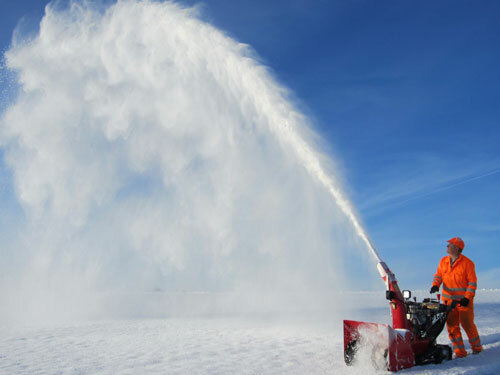 Why are the Japanese snowblowers the best in quality? Japanese manufacturers are keen to ensure the best quality and longevity of the product. The side of the island facing Siberia - is extremely snow kingdom. When the cold winds coming from Siberia move across the ocean still produce enough wet snow - then snow of 1 m or more is not uncommon. Thus, a Japanese snowblower on the island is much more stressed than in the low mountain ranges in Europe. 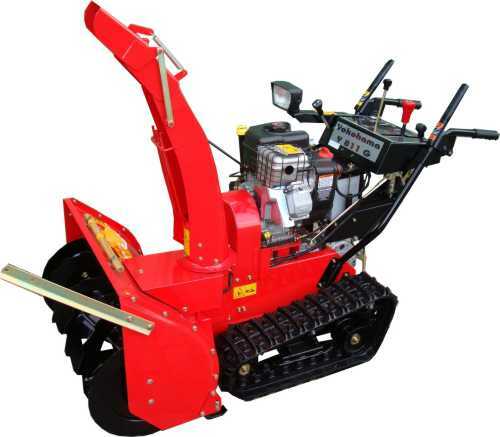 Enjoy the advantage of Japanese quality snowblowers. Experience has shown that the shear bolts can break down and possibly even the spark plug. The belts hold at least 5 years.